You guys I am so excited about these cards. I'm not even really sure why I'm that excited. Maybe because it's the first time I've tried something like this, maybe because it's the first goal I get to check off my list for 2015 or maybe because I just really, really like the way they look. 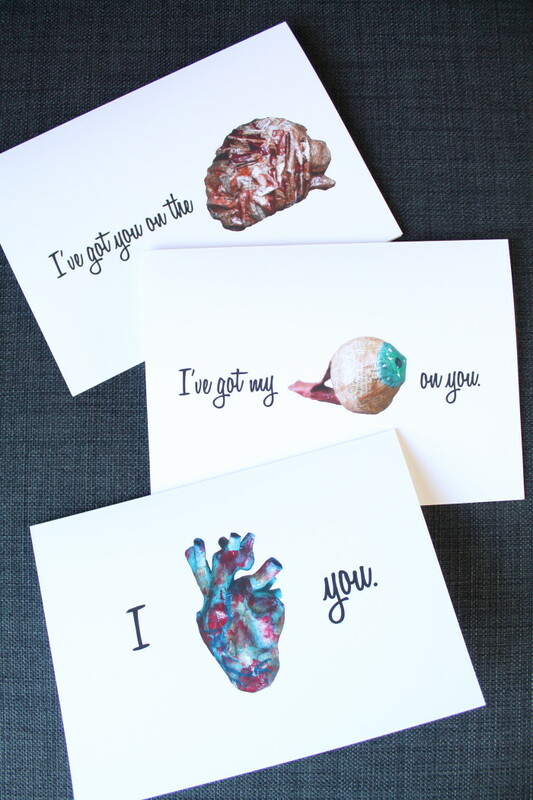 Either way, I am super excited to unveil my first ever line of body-part themed, punny Valentine's Day cards. 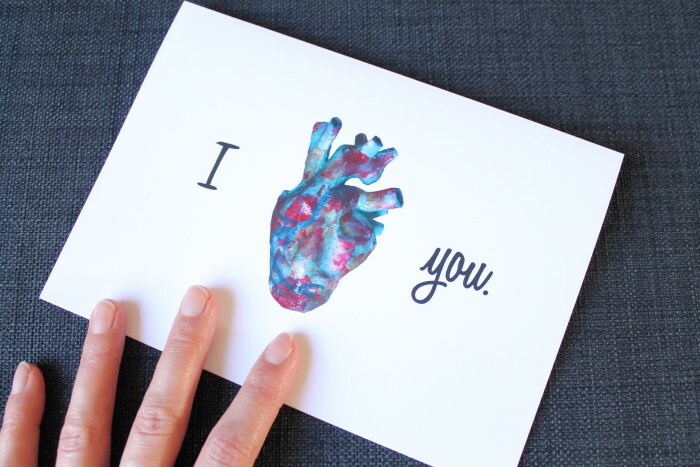 I say Valentine's because it's coming up but really these cards are great for any occasion when you want to tell someone that you care (or you have a pesky admirer that you want to scare away...). There are three slightly creepy, yet beautiful anatomical images to choose from: a heart, an eyeball, and a brain. They're printed on a delightfully crisp white 60 lb. paper, and come with a white envelope. The inside is blank so you can decide what sweet nothings you want to write. The images are all paper mache sculptures that I've produced within the last 6 months or so. 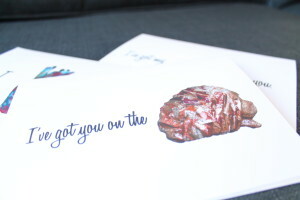 I photographed them, then used Photoshop to isolate the sculptures on the cards and add text. 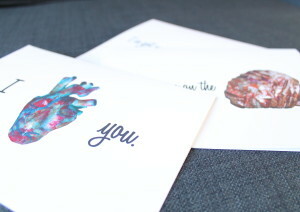 You can buy these cards from me at any local market, or from my Etsy shop! I hope you enjoy these cards as much as I do! If you do, please tell your friends by sharing on your favourite social media!